The Fairfield Inn & Suites New York Manhattan/Fifth Avenue welcomes you with a simply unbeatable location in the heart of the city. Experience iconic midtown NYC attractions like Bryant Park, Rockefeller Center, Times Square and the Empire State Building, which are only moments away from our hotel. Grand Central Station, Herald Square, and the Theater District are within walking distance too. 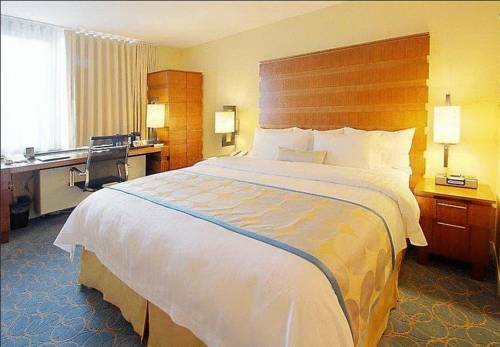 Our comfortable accommodations include free Wi-Fi and well-lit work desks; enjoy beautiful city views from your room. Other superb hotel amenities include a free daily breakfast; enjoy a delicious meal before setting off to explore the Empire State Building, or to do a little shopping at Macy's or on Fifth Avenue. Thanks to our close proximity to Grand Central Station and Penn Station, you can explore all of NYC with ease. At the Fairfield Inn & Suites Fifth Avenue, youre our #1 priority. We promise you'll be satisfied, or we'll make it right. That's our commitment to you. Ask us about The Fairfield 100% Guarantee.